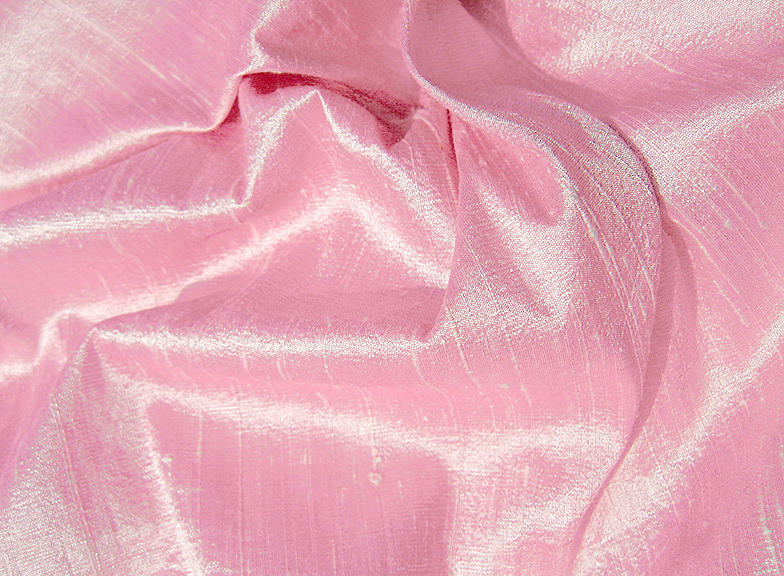 The color of this sparkling pink iridescent dupioni silk fabric has very good depth to it. 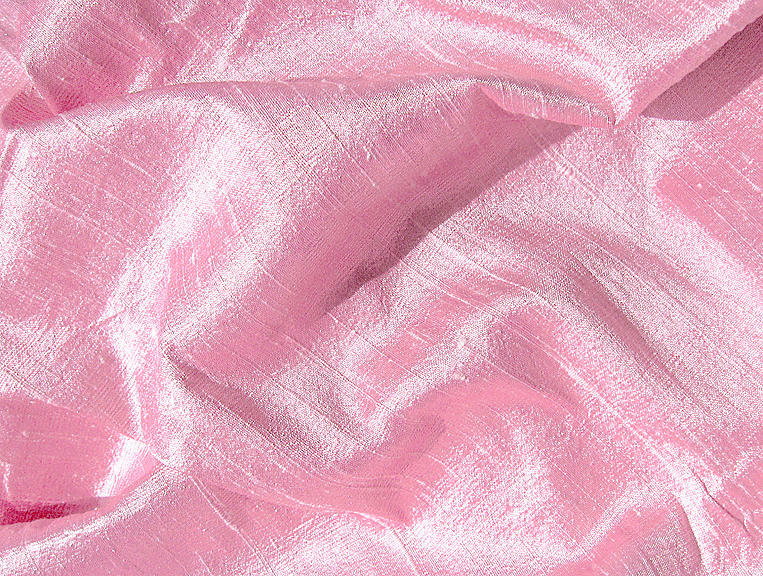 The warp, a medium light shade of cool pink, is woven with a weft of bright white. 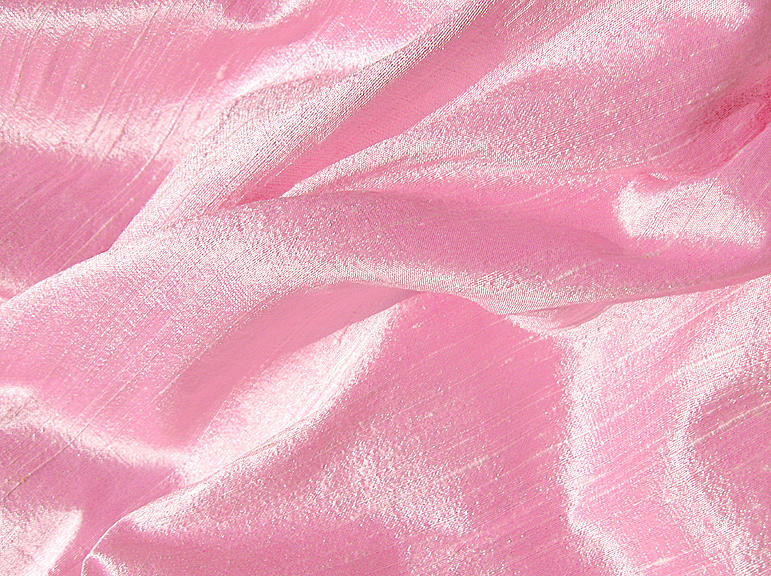 This silk has a sheen that approaches brilliant. 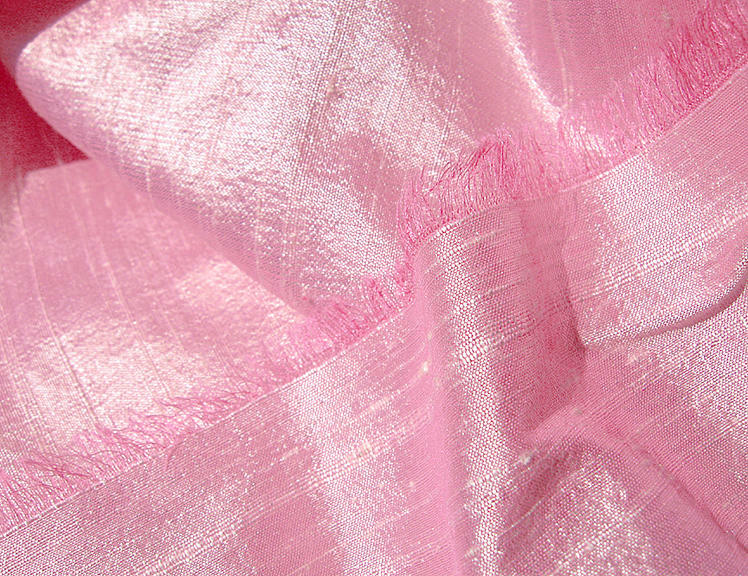 The silk is 11" wide x 17.75" long, and I photographed a larger piece of the silk in bright natural light without flash.